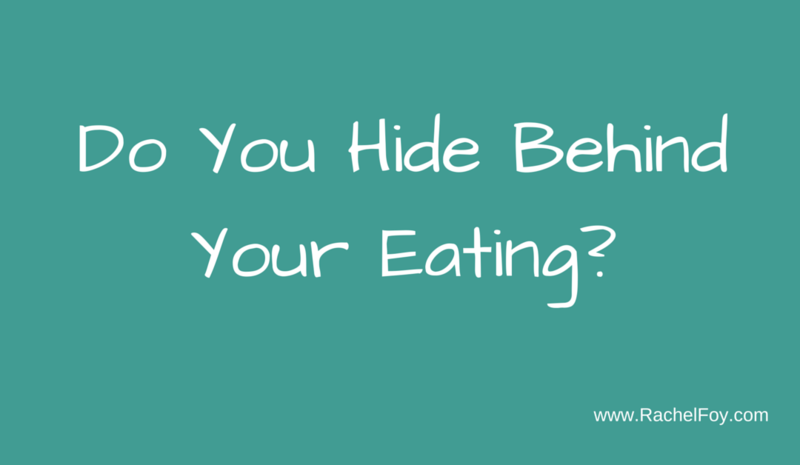 Do you hide behind your eating? In a world where dysfunctional and disordered eating is becoming more and more apparent, so many of us still believe that food is the enemy. Food is something we fight, we resist, we deny ourselves, we restrict and we hide. Now I don’t mean you physically hide from or behind food, that would be silly, right(? ), but there is a very good chance that if you find eating incredibly stressful right now, that perhaps it’s not all about the food. We know that dieting causes many disordered connections and relationships with food (read more on that one here), yet we still focus on dieting as being the answer to our crazy, messed up relationship with food. Many women, however, often use food as a way of coping with life as well as something to hide behind….protecting them from doing things, challenging themselves and ultimately living. So in the latest episode from Ditch The Diet TV, let’s take a look at the idea that perhaps hiding behind food is not as crazy as it sounds. Let me know in the comments what you thought. Have you used food to hide behind?